We all know by now that United States President Donald Trump is controversial. Even if you’re a fan of Trump who voted for him and support him, you know there is controversy. It’s not as if WWE has to tell you this, but they do have a business to maintain and keep alive. Donald Trump is divisive, and they have an audience that is clearly represented by multiple types of people, religions, and cultures. Due to this, WWE has to think about their bottom line. That said, according to WrestlingNews.co, WWE has decided to distance themselves from Donald Trump. 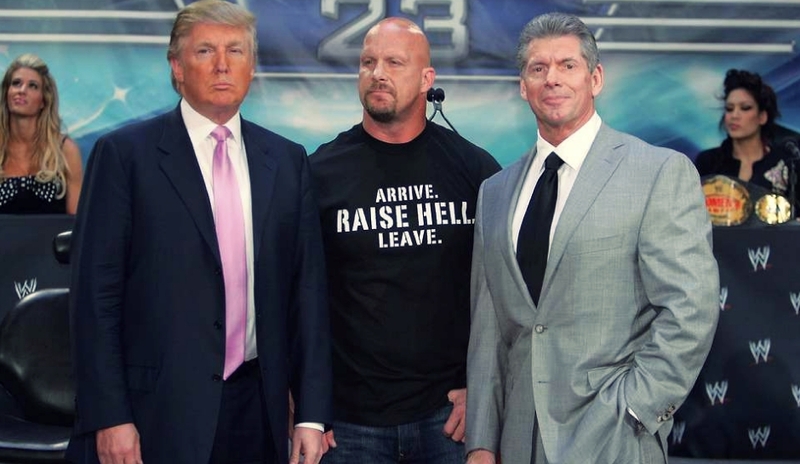 For those unaware, Trump has been a huge part of WWE in the past. 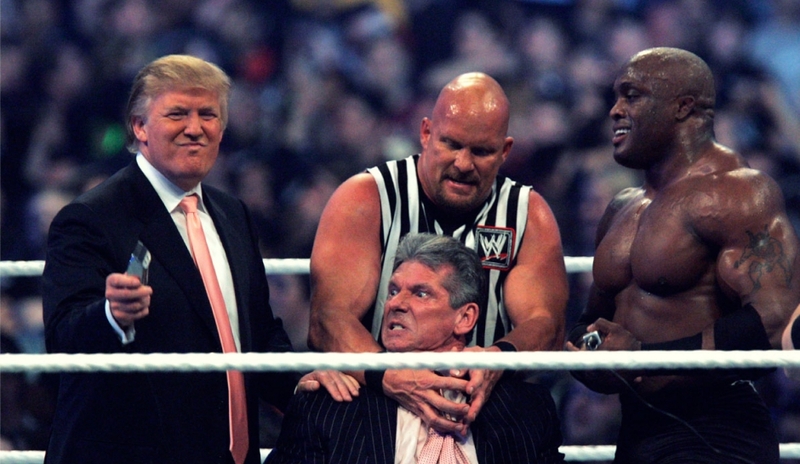 Donald Trump was most notably part of the “Battle of the Billionaires” years ago at WrestleMania 23. He’s also been part of Monday Night RAW here and there. 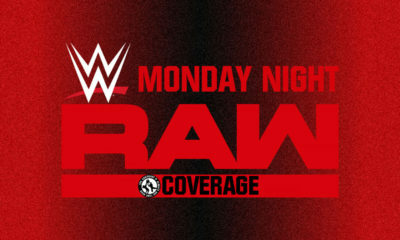 The company even ran an angle where Donald Trump bought RAW from Vince. If it was not for the stock market idiots going crazy and not knowing it was a story, the Vince would have kept the angle going little longer. The company even put him into their Hall of Fame, and to be honest, he did deserve to be part of the celebrity wing of the Hall. While some people will tell you that Donald is not that bad of a guy, it honestly comes down to opinion. A little behind the scenes here for you. There are some websites that won’t even touch this article of news because they don’t want to be hit with hate comments and emails from Trump supporters. Some think that it would be crazy for WWE to ever distance themselves from a United States President, especially when he has been part of WWE’s history in a pretty big way. In theory, that is correct. Why would WWE do such a thing? Donald Trump is by no means the type of guy who brings people together. Unless you’re white and make a good living, and you’re mostly male. The company has a strong Latino fanbase, which is a major area Trump attacking during his campaign. He has not done much to repair the relationship with them since becoming President either. Donald has also gone after Black Americans as well, which makes up a large chuck of the WWE audience too. Seriously, WWE has a ton of minority viewership. With this being well known, WWE would be crazy to keep connected to Trump. Stephanie McMahon would address the Trump question at the Television Critics Association panel earlier this week. And would say what was said above mostly, in that WWE won’t mention Trump to basically keep their audience. She said that just don’t want to bring politics into the product. Interestingly, Linda McMahon is actually part of his administration. Yes, Vince McMahon’s wife Linda! She runs the Small Business Association, which was considered by most experts to be Trump’s best hire in all of his cabinet. Linda has done well since taking on the role as well, so credit is due to her here for a job she would always do well with. 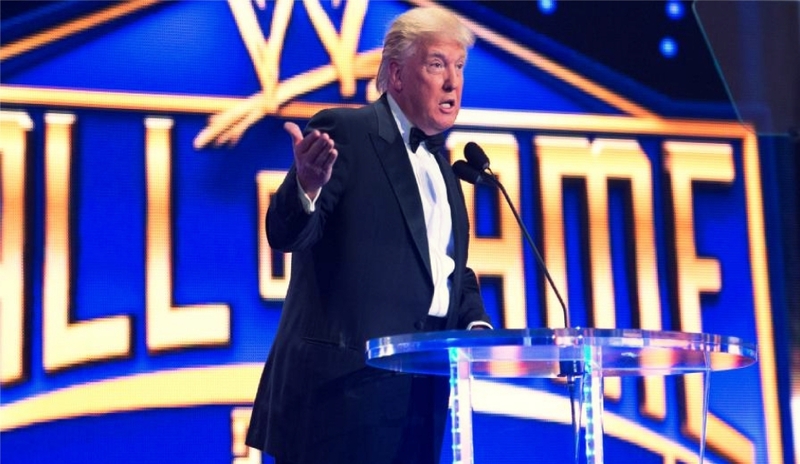 Trump hosted WrestleMania’s for Vince McMahon even when he may not have had the ability. Donald Trump and Vince McMahon have been friends for years, and it is honestly due to the business connections they have had. While this might mostly be what people call a business friendship, it did ultimately lead to Linda getting her spot in the Trump administration clearly. Donald Trump most likely understands the decision made by the WWE, as he too would do similar under the same situation. WWE has seemingly removed all mention of him from their sizzle reel of celebrities who have been part of WWE. The Hall of Fame material has even removed him, of course mostly in highlight reel form. 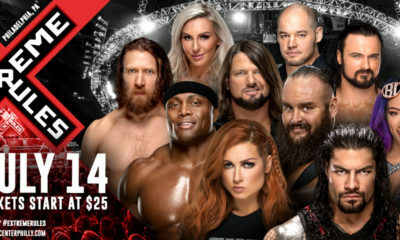 He’s still in it and on the WWE website as part of it. That likely won’t change. Bobby Lashley Is Now Done With Impact Wrestling, Headed To WWE?